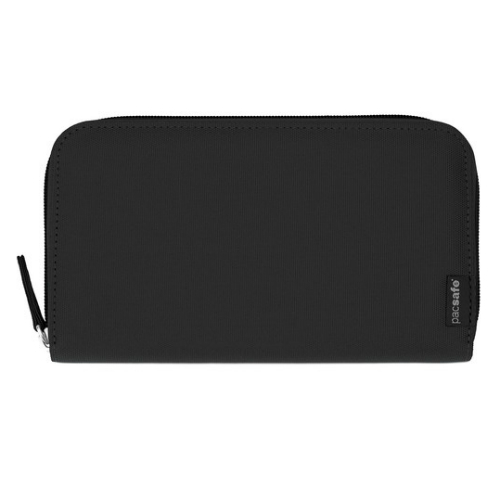 The Pacsafe RFIDsafe LX250 is a blocking zippered wallet which keep your cards and cash organised and secure. Most passports, credit cards and ID cards now contain a RFID micro chip. RFIDsafe blocking material prevents your data from falling into the wrong hands by blocking out virtually all transmissions between 10 MHz - 3 GHz, which covers the radio frequency used in e-passports, credit cards / smart cards, and key cards. 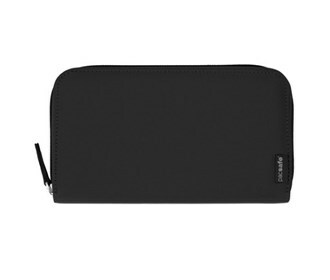 The RFIDsafe LX250 interior includes note slot, 8 card slots, 2 open slip pocket and an internal zippered coin pocket. 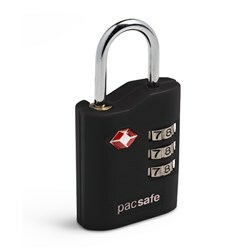 The Pacsafe RFIDsafe LX250 - Black has many exciting features for users of all types. It's one of FactoryOutletStore's best selling . You can extend the lifetime of your Pacsafe RFIDsafe LX250 - Black with the purchase of a FactoryOutletStore Factory Protection Plan. See the Pacsafe RFIDsafe LX250 - Black gallery images above for more product views. FactoryOutletStore stocks a full line of accessories like 4 Dial Retractable Cable Lock and Combination Lock for the Pacsafe RFIDsafe LX250 - Black. 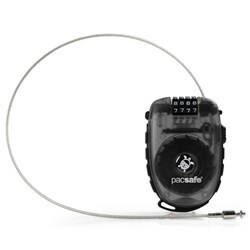 The Pacsafe RFIDsafe LX250 - Black is sold as a Brand New Unopened Item.